As I type this, i've been home from my week long trip to Honduras for about twelve hours. I keep going back and forth between wanting to really process through all of the emotions running through me before I dive into it all, and getting it all out before the feelings dissipate. I guess I'll start by saying that I've been wanting to do something like this for a long time. A 'mission trip' as I guess you call it, but somehow at thirty years old this was my first. Of the 5 love languages, my primary one is 'acts of service' so the idea of going and serving other people by doing concrete things that will help their well being gets me fired up! (If you don't know what this is but want to CLICK HERE) But, I'm also very practical (sometimes too practical?) and my left-brain dominant mind always wondered if the $1000 I would spend to go on such a trip was better off just being donated directly to the cause. I always questioned if it was selfish of me to want to go over just giving the donation. Regardless, I wanted to do whatever the right thing was to make the biggest difference. 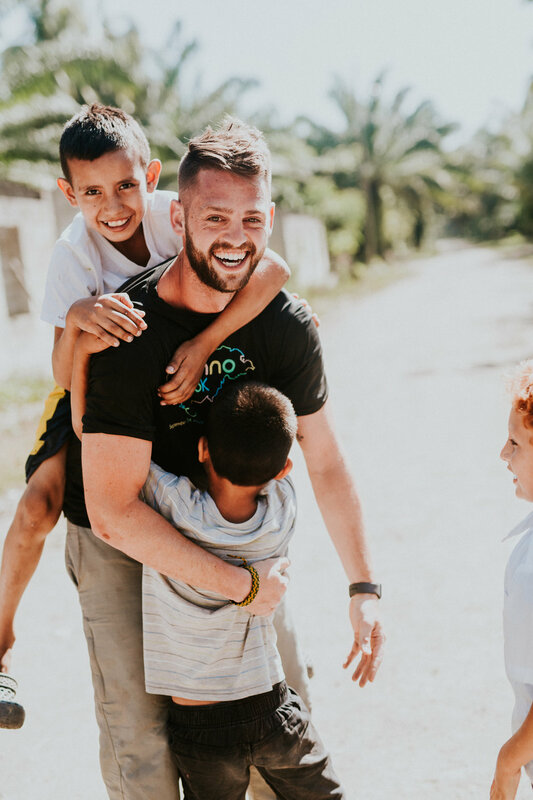 Here is one of my biggest takeaways from this trip: I am certain that my time and money was beyond well spent in Honduras. 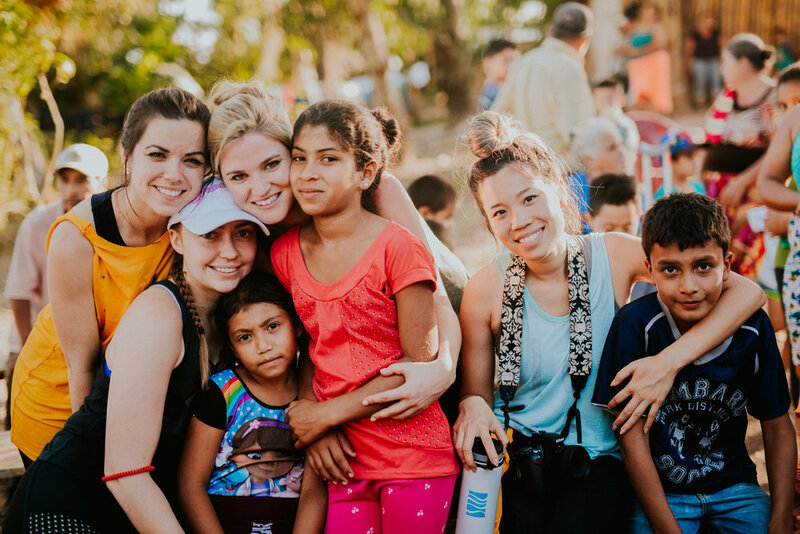 I feel like I could write a novel about all that I saw and experienced, both with the people of Honduras and with the incredible group of human beings that I was with that now feel like family to me. I've been thinking about how to divulge everything from such a full and intense experience, so I've decided to split it up into four lanes and I'm going to try and concisely tell you a little bit about each lane. 1. The first lane: learning, observing, and understanding. 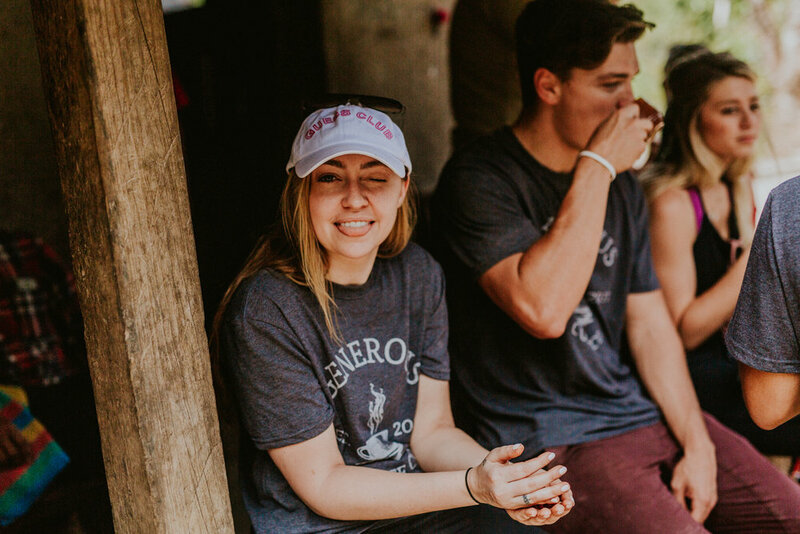 This trip was unique because for the first three days we got to explore the mountains of Honduras for a project called Generous Coffee. If you watch the Bachelor, you probably know Ben Higgins. (FYI we are now calling him The Generous Coffee guy, NOT the Bachelor guy, so get on board!!!) 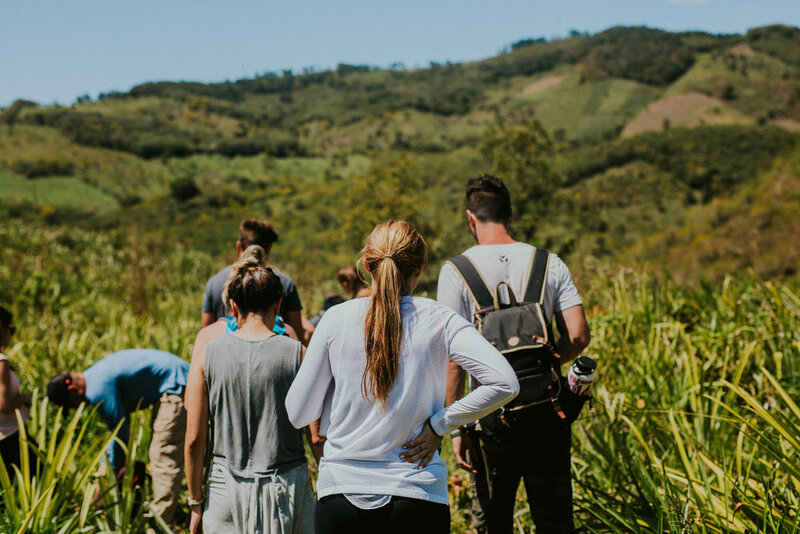 He led our group through a tough but exhilarating trip up the literal side of a mountain to one of the highest points in the Cordillera de Celaque mountain range to meet a family that owns and operates a coffee farm that Generous is hoping to source from in the near future. You guys. Words truly don't it justice. These people live in one of the most beautiful places I've ever seen - however it is utterly remote, albeit impossible to get to and from even in heavy duty trucks, and even then the journey is brutal. Nonetheless, we saw people walking with heavy sacks of coffee barefoot crossing the same path as us, which floored me. They live without running water, without electricity, and they are working their butts off every single day so that we can drink a cup of coffee. 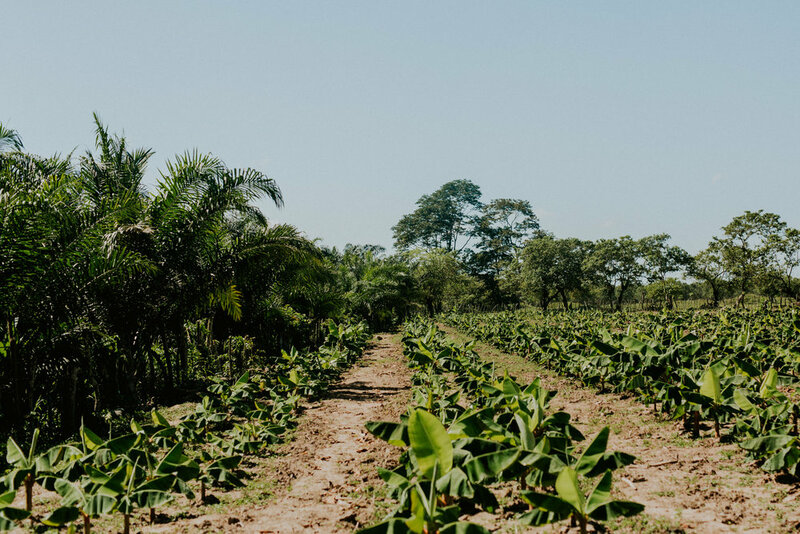 The families AND children pick the berries by hand, and then go through a rigorous process to clean, prep and sell them. This process is long and difficult, and with passion and perseverance they carry this out every single day. AND THEY ARE NOT compensated anywhere near fairly enough for their work, or for their high quality product. As someone who has depended on coffee every day since I was nineteen years old, this changed the way I will drink said coffee for the rest of my life. Not only is Generous Coffee working to provide fair compensation to this family we visited and others like it (we only got to visit one farm on this trip, but there are several others like it) by purchasing coffee from them, they are building relationships and loving on these individuals along the way. 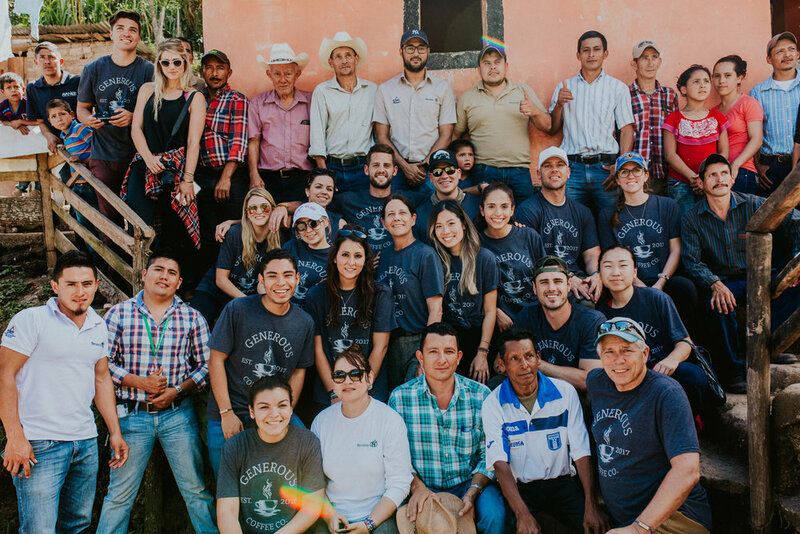 When Ben and I met I could tell he had a special heart, but getting to observe first hand how he is literally changing the lives of these farmers and their families that we met those first few days with this company was something really special. He has a God given leadership quality and a self sacrificing heart. It's such an honor to get to be a very small part of what he's doing! 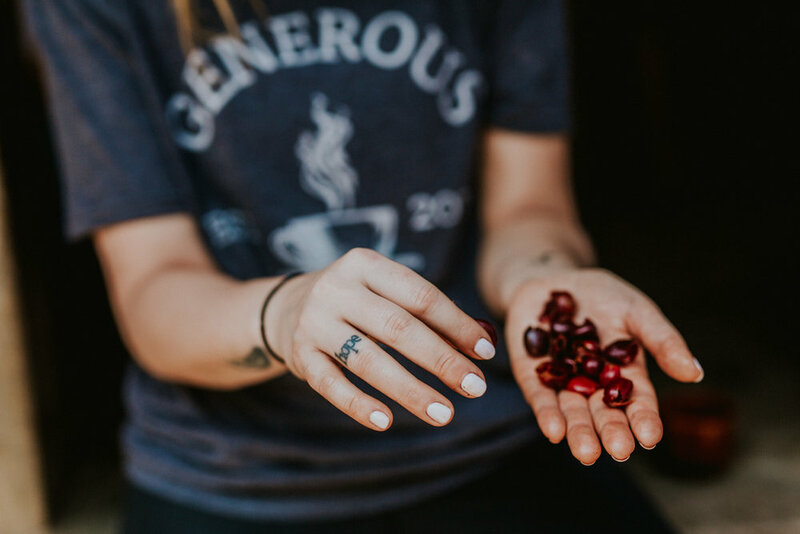 If you want to learn more about the coffee process and/or what Generous Coffee is doing to improve the lives of these beautiful hardworking people, AND/OR change some lives by buying some coffee then CLICK HERE. 2. 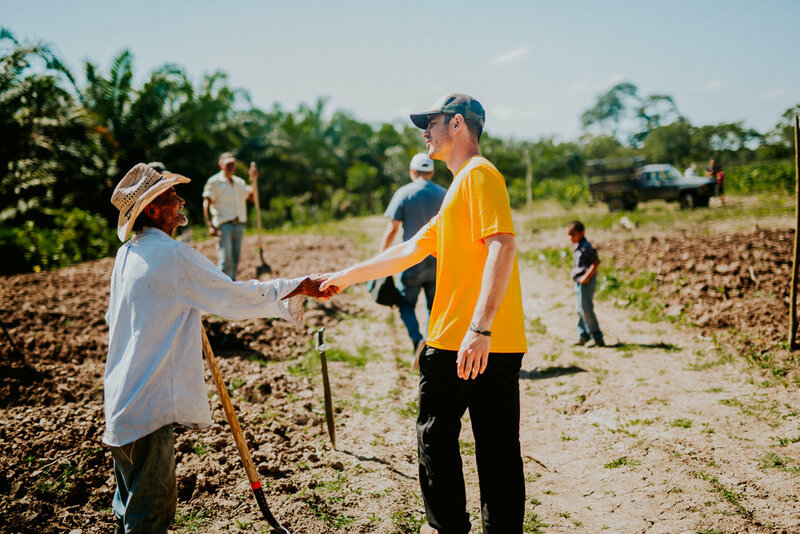 The last three days of this trip we spent in three different villages near El Progresso that Humanity & Hope United Foundation (H&H) has been working with for several years. This is my official happy dance into the second lane - but as for the practical side of H&H: their mission is to create sustainable change within these remote communities by creating new businesses in each village to facilitate job provision. They have found that when the men and women have jobs, they feel empowered because they can provide for their families with their OWN efforts. There has been quite a bit of positive progression, but y'all these villages still need electricity, they need running water, and these people want purpose. They WANT to work, (they even said they want jobs over clean water) and H&H is creating that for them. I got to visit one village that now has power and water for the first time ever, and the others are working towards the same goal. In Remolino, where H&H has been in the longest, I got to witness and learn about the agriculture projects they've created such as pineapple farms and their chicken business. 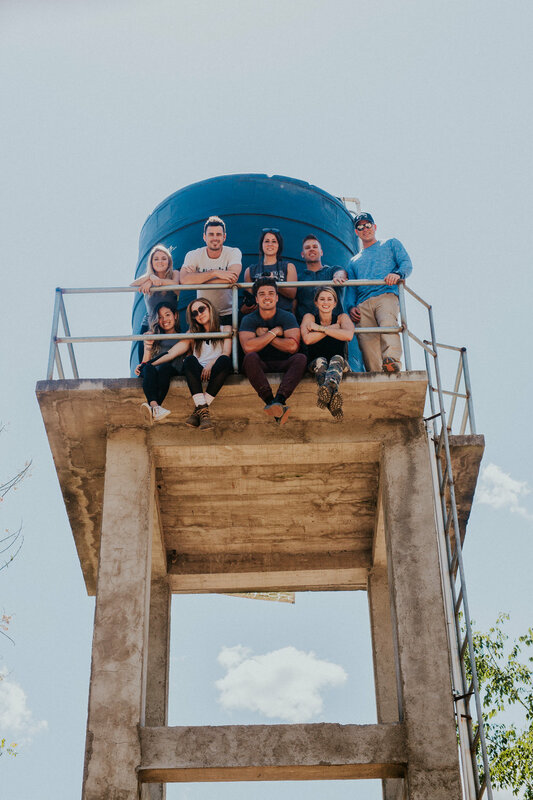 It was incredible to see the physical fruit that has come through love, labor, and fundraising - but the best part was the amount of gratitude these people showed us for helping provide these jobs, and it was earth shattering. It's impossible to continue and not mention how moved I am by the heart of Riley Fuller. Riley is the president and co-founder of Humanity & Hope, there aren't words to describe the fullness of his heart. I am truly honored to know him and see how much he loves the people of Honduras, and I admire how hard he works to improve the lives of these people that live a world away. Watching him this week was such a gift, to see God using his heart, his mind and his perseverance to change lives forever and really, REALLY make a difference. 3. This leads to the third lane of this trip - relationships with the people of Honduras. Something money cannot buy is love. We were welcomed not only into these communities but into their individual homes with open arms. We got to listen to their stories, and learn about every aspect of their daily lives. It was truly the most precious gift. 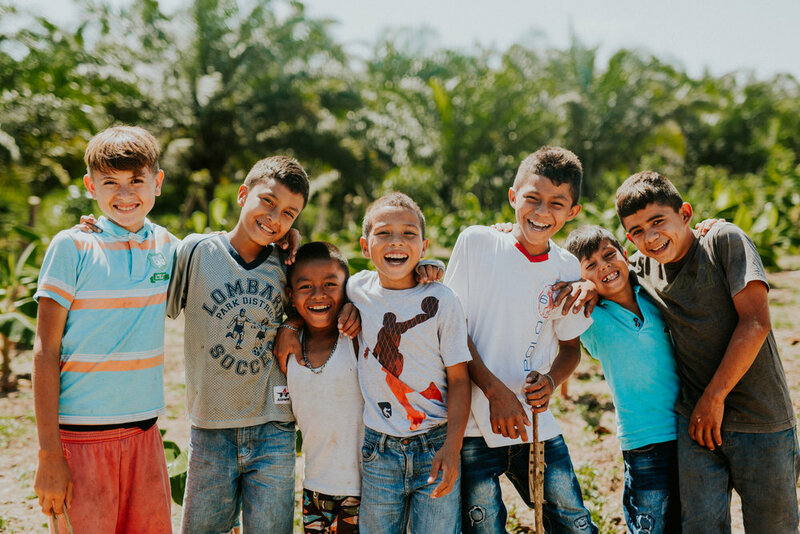 The children especially, who are so full of love and light, were overflowing with joy at the chance to meet new people, play with new friends, and tell us about their hopes and dreams. I got to watch several people in our group reunite with kids and adults that they have formed friendships with on previous trips, and it is a special thing to see. It's also incredibly moving to see how much love the Hondurans have for their family, for their friends, and for their village. 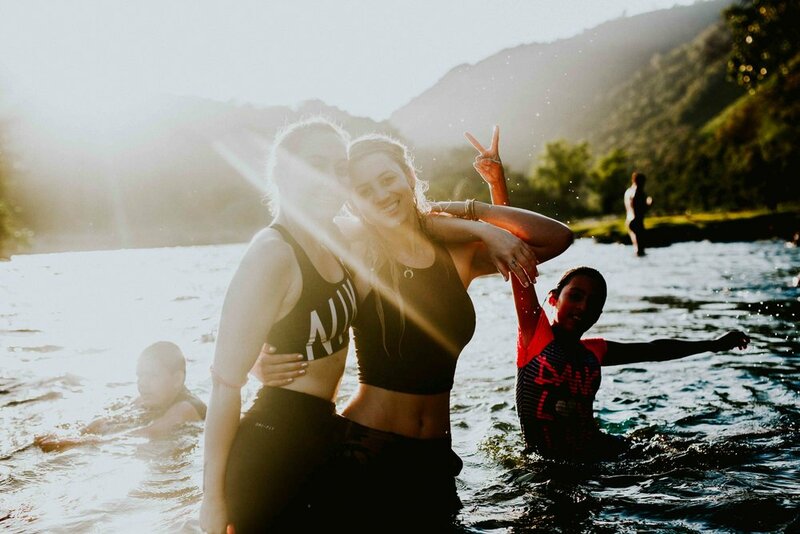 Without the silly distractions we have in America, their favorite way to spend their free time is with each other - laughing and loving and living. It really encouraged me to come home and spend more of my time doing the same. My one and only low from this trip was that I wish I knew some Spanish (Rosetta Stone - letz get it) so that I didn't need to rely entirely on a translator to communicate - but one of the highs was experiencing what the language of physical touch can say (this is my secondary love language by the way, lucky me!) A hug, holding hands, carry kids around on my back, sitting with and next to each other - these small things poured light into my life as much as I'm sure it poured light into theirs. Truly I feel like I could go on and on and on and still wouldn't ever capture the full extent of beauty that happened this week with just words and photos alone. It's something you have to experience for yourself, and right now if you're reading this I'm going to encourage you to do so. 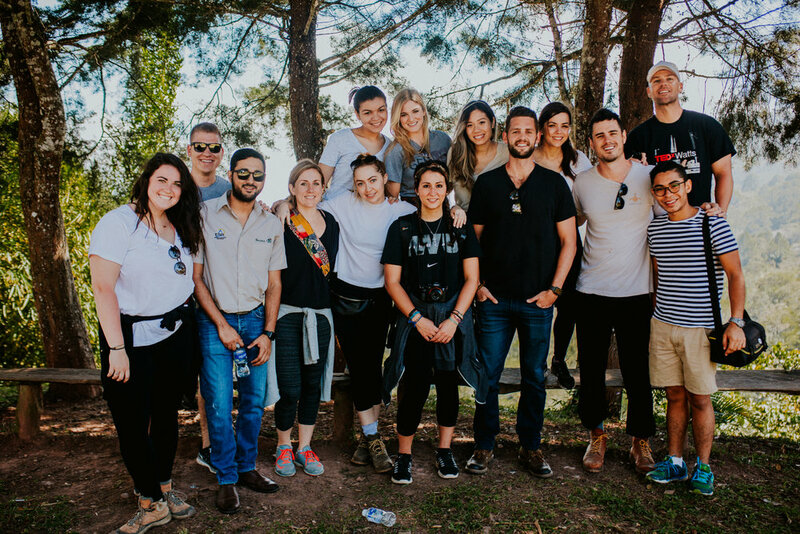 If you want to learn more about Humanity & Hope, the history of the organization and what exactly we're doing and how we're doing it, then CLICK HERE. Join us on a trip, buy a bag of coffee, share on social media - every gesture counts! You can forever change the lives of others as well as your own. What a perfect excuse to wear one of my favorite color combos: pink and red! *Also I picked out a few of my favorite pink handbags for you guys! 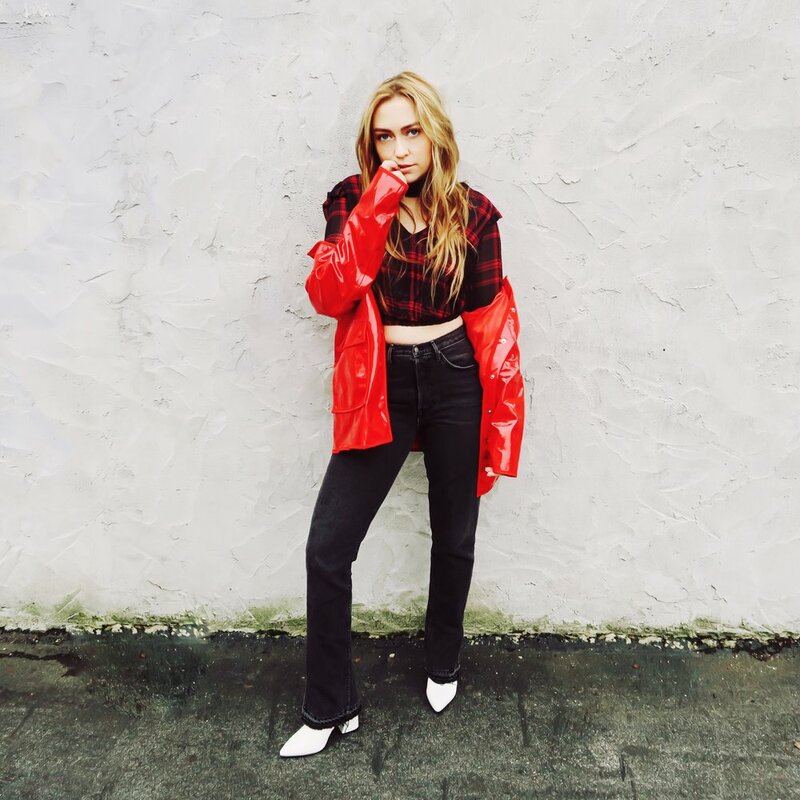 This outfit was so easy and fun! thanks to Vestiaire Collective for sponsoring this post!